The Tuesday Group - community coffee shop. 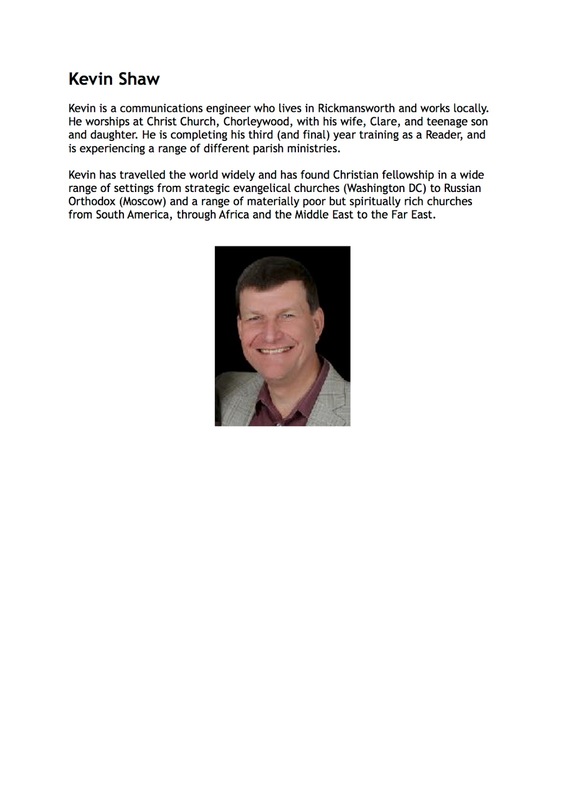 During January, Dr Kevin Shaw will be on placement with us. Kevin is training as a Reader and lives locally. He introduces himself below. I know you will all make him welcome! This year's APCM reports and financial statements are available to download here. Welcome to our website! We are the Parish of Mill End and Heronsgate with West Hyde, just on the edge of Rickmansworth. Here you will find a little about who Jesus Christ is and what he teaches, our worship, our three churches, our social life, the groups that people belong to, what Christians believe, places you can pray online and generally what makes us tick. You can download a complementary copy of 'The Chronicle', our parish magazine here. We take your privacy seriously. You can read our privacy notice and policy here.